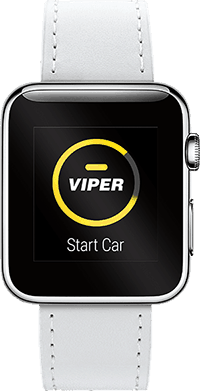 The Viper SmartStart 4.0 app is now available for the Apple Watch and Android Wear, allowing drivers to start, control, and locate their vehicle from virtually anywhere using their smartwatch. Viper SmartStart 4.0 works with many after-market cars, allowing drivers to talk to or tap on their smartwatch to find, lock, unlock, and remotely start their vehicle, as well as manage alerts. Drivers can follow turn-by-turn directions back to their car, pop their trunk, hit the panic button, and receive low battery alerts all from their wrist. The engine can be started with voice commands. The Viper SmartStart 4.0 app for iOS and Android, offers a number of features for smartphones. Its improved, easier-to-use speed alert can show when young drivers are speeding, and users can set a SmartFence to designate certain areas as restricted—they receive an alert when the car enters or exits that perimeter. When maintenance is needed, the app notes diagnostic trouble codes (DTCs) and explains the issue. Drivers can call upon roadside assistance in an emergency with a tap of their finger. The new app is compatible with all existing Viper SmartStart hardware. Viper SmartStart 4.0 now uses CDMA/3G wireless connectivity for nationwide coverage and to reduce power consumption in the vehicle by up to 30%. At CTIA Super Mobility 2015 Viper SmartStart 4.0 was named a hot for the Holidays winner in the ‘connected car’ category. The iOS version is available in the app store now. Viper is making a beta version available for Android users and the full version of the Android app will be available within two weeks.